You might be wondering why going from Hong Kong to Shenzhen? Shenzhen isn’t a famous destination for outside traveler but actually more well known as a recreational spot for Hong Kong’s local. Both Shenzhen and Macau located pretty close with Hong Kong which made them the short getaway spot for Hong Kongers. So while you are in Hong Kong, might as well visit these two cities. Take it as killing 3 birds with one stone kinda trip which also what we did. We have shared about how to get to Macau from Hong Kong. Now this post is all about how to get from Hong Kong to Shenzhen. It is easy but there are a couple of things to pay attention to. Shenzhen is different with Hong Kong or Macau. Hong Kong and Macau are China’s special administrative regions which mean they have their own currency, governments, including immigration policies while Shenzhen is China special economic zone. Different from Hong Kong or Macau, basic China visa is needed. But because Shenzhen in a special economic zone, they do have on arrival five-day visas available at the Lo Wu border crossing. This visa is only valid for the Shenzhen area. Once you arrived, you will first have to pass through Hong Kong immigration in Lo Wu then walk towards the Chinese immigration desks. Before reaching the immigration, you’ll see escalators on your left side and the Shenzhen visa office is located on top of the escalators. But this visa option is only available for certain nationalities and their list seems to be always changing, not so much consistent about their regulation either. So my suggestion will be to do your research if your country is eligible for this visa. Or, the safest option is to sort your Chinese visa in your home country, obviously. But once you get your visa sorted, Shenzhen is actually worth visiting. You will get a tiny taste of China which might surprise you pretty different from Hong Kong, which we experienced here. 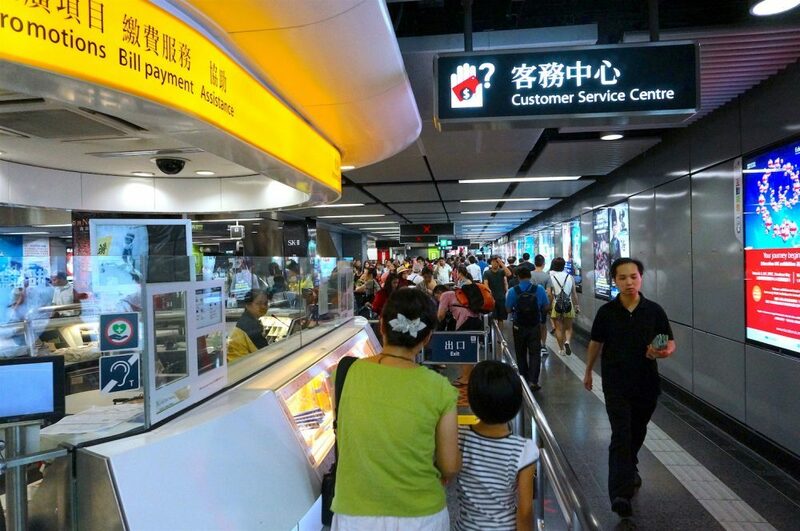 There are multiple ways to get to Shenzhen from Hong Kong, you can go by bus, MTR or by ferry. Like I said before, it is a common thing for people to travel between these two cities and back in the same day. The only thing that will remind you that you just travel into a different region is the stamp on your passport. A lot of people swear that this is the best option to get through this two cities as it is soo simple. The train journey takes around 45 minutes. Take the train on the East Rail line to Lo Wu which is the last stop on this line. East Rail line is located in the Kowloon area of Hong Kong. The main interconnection station is the Kowloon Tong station. In Lo Wu, you will find the Hong Kong – China border, passed Immigration and Customs and you are in Shenzhen already. 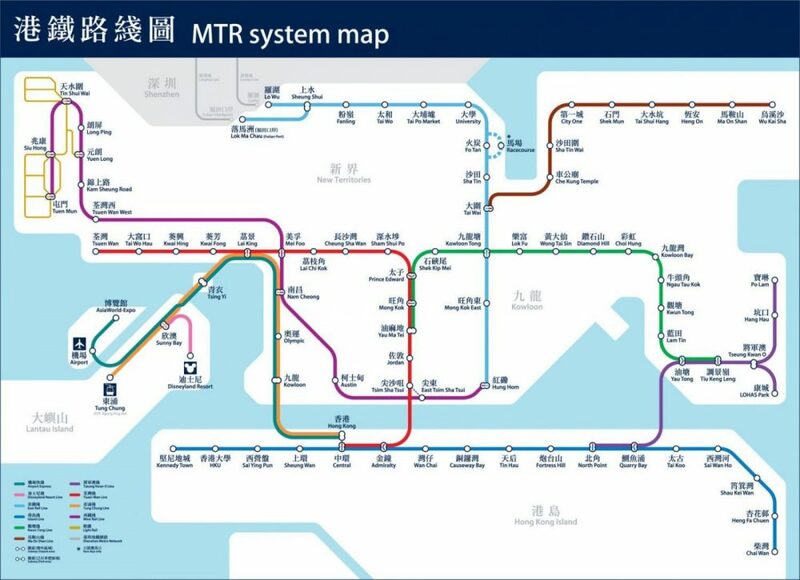 Now if you see the map the last stop is actually divided into 2 stop, Lo Wu and Lok Ma Chau. Both are the crossing point to Shenzhen but Lo Wu is the major checkpoint. A couple of reasons why. Because you can only get the five day Shenzhen visa in Lo Wo crossing. The reason is because this area is famous for its shopping district. Even the first thing you will see once you passed the Lo Wu border is, in fact, five stories shopping mall. But not the branded stuff like the one you commonly see in Hong Kong. They do sell branded stuff but the rip-off version, the imitation stuff, cheap stuff. If you ask me if that even legal, well, welcome to China. But bargaining skill is a must if you don’t want to get “robbed” by the seller. Be prepared to hear people shouting here and there bargaining. Imagine traditional market, yeah that kind of shopping. Also, if you want to visit the Window of The World this stop will be more convenient since there is a direct MTR route to reach the theme park. This is the most scenic way to travel between Hong Kong and Shenzhen, but not necessary the most convenient one. There are multiple harbors in Hongkong that has ferry route to Shenzhen. The one that has the most frequent schedule is Hong Kong Macau Ferry Terminal in Shin Tak center. The ferry from here will arrive at Shekou Terminal. Shekou Terminal is located in the southern part of Shenzhen. From here you can take either taxi or bus (no. 113) to the city center. Shekou area is also a popular spot for expats and foreigner, you might call it primary expat community in Shenzhen. There are lots of restaurants and bars to choose from. But if you are looking for more of an authentic Chinese experience then you will need to head out to the city center. The other big ferry terminal is the one in the Hong Kong International Airport or also known as SkyPier. There are two routes available from here, Shenzhen Shekou Terminal and Shenzhen Fuyong Terminal (next to Shenzhen Bao’an International Airport). This will be suitable if you plan to go to Shenzhen just after arriving in Hong Kong. Because you do not need to go through Hong Kong immigration nor collect your baggage. Once arriving, do not pass the Hong Kong Immigration but go straight to Transfers Area E2. Follow the sign to Transfer Area E2 or Ferries to Mainland where you will find counters to purchase ferry tickets. When you are buying your ticket, make sure to give your airline baggage tags to the counter staff. They will take care your baggage and put them on the ferry for you, so do not forget! The ferry itself will take around 30 to 40 mins but take note that you need to purchase your ticket 1 hour before ferry departure time. If you go by bus you are most likely go through HuangGang Border (Shenzhen) and Lok Ma Chau (Hong Kong). There are also another crossing depending which part of Shenzhen you want to reach. The Huang Gang Border is the most well known (also read : busy) because it is open 24 hours per day. So if you need to reach Shenzhen anytime of the day then this border is your choice. The other less known border for buses and cars is the Shenzhen Bay Crossing. 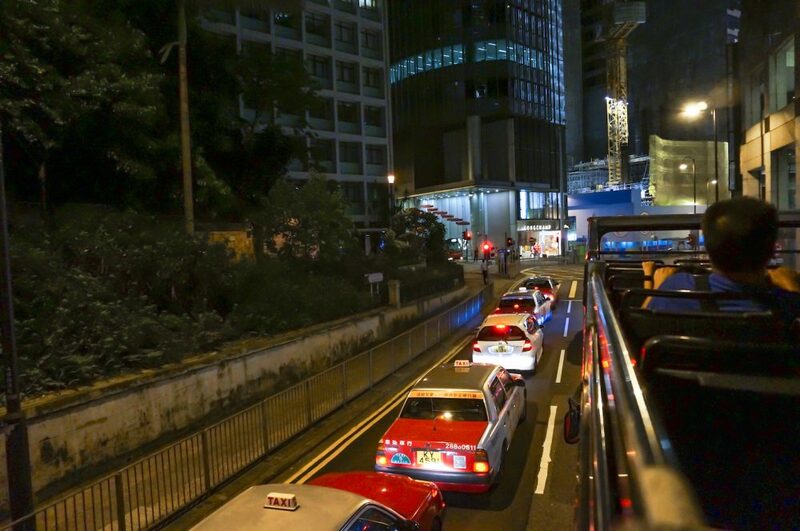 The journey times depend on from where your starting point in Hong Kong is, also the traffic. But the main downside that I found with using bus / taxi is that you need to carry your own luggage and passed the Immigration by your own while carrying your stuff. You will be dropped off in front of the Immigration Building on the Hong Kong side. Next, you will need to get off and get your luggage, passed the Hong Kong Immigration, then passed the China/Shenzhen Immigration. After arriving on the Shenzhen side you will then need to find your own transportation again, either taxi or bus. There are also Cross-Border Coach Service that gonna take you from Hong Kong to selected drop off location in Shenzhen. The same thing with using bus or taxi that you will need to board off to passed the Immigration yourself. When you are purchasing these type of tickets, you will be given a sticker with the company logo on it. Do not throw it away! Stick it to your clothes where it is easily seen. On the Shenzhen side, there will be another coach waiting for you to take your destination. You won’t be charge extra money for this as it is already included in your ticket. Be careful of scammer that pretend to be your chosen company’s agent that offer you a ride with an extra fee. The real agent usually wears badges and will recognize you from your stickers. It will be a completely different bus and driver than the one who drove you in Hong Kong side. That is why you need to take all your luggage down and bring it with you when crossing the border because you will not board the same coach. There are many options for you to choose from to get from Hong Kong to Shenzhen. Most of them are relatively simple and easy. Shenzhen if quite different from Hong Kong but nonetheless is an interesting place to visit. Even one day trip is enough to cover all the main attraction in Shenzhen. So, have you ever been to Shenzhen ? Which form of transportation you prefer ? If you haven’t then get your Chinese visa sorted and add this to your plan next time you visit Hong Kong. Check our journal for more Hong Kong – Shenzhen experience. If you find this helpful then share it with everyone, thanks for reading and cheers!